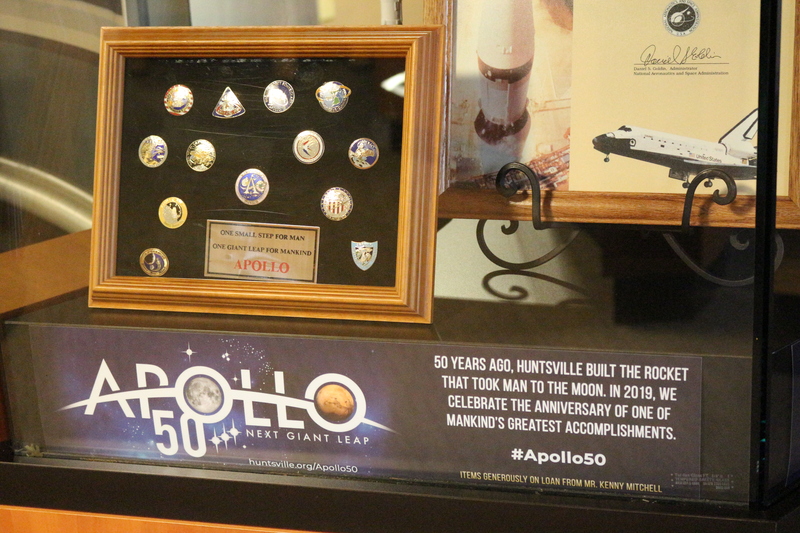 2019 celebrations around the Apollo 11 50th anniversary are “blasting off” in the Rocket City, and the Huntsville/Madison County Convention & Visitors Bureau (CVB) has joined in the festivities by offering a special Apollo display at the Huntsville/Madison County Visitor Center®️ in downtown Huntsville. 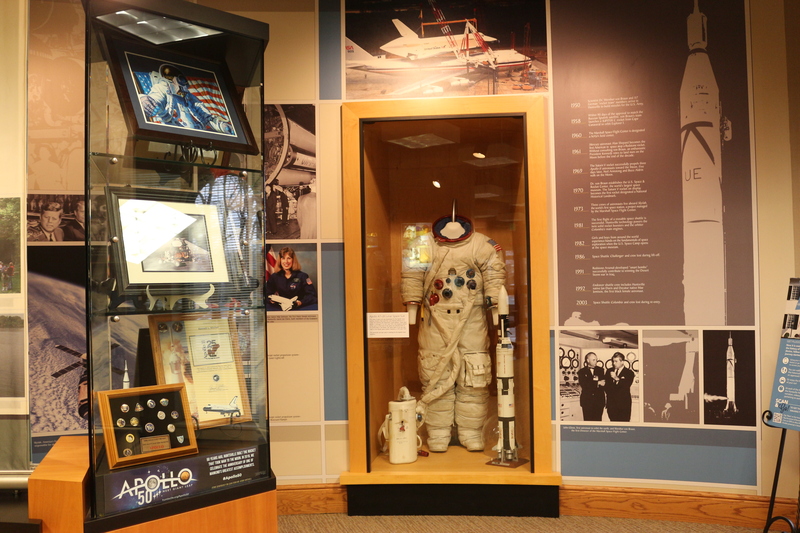 The display, which is comprised entirely of items on loan from retired NASA engineer Mr. Kenny Mitchell, includes various photographs signed by Apollo crew members, commemorative pins, and other memorabilia. The CVB anticipates the special activities taking place around the anniversary to be a significant draw for tourism to the area throughout the year. 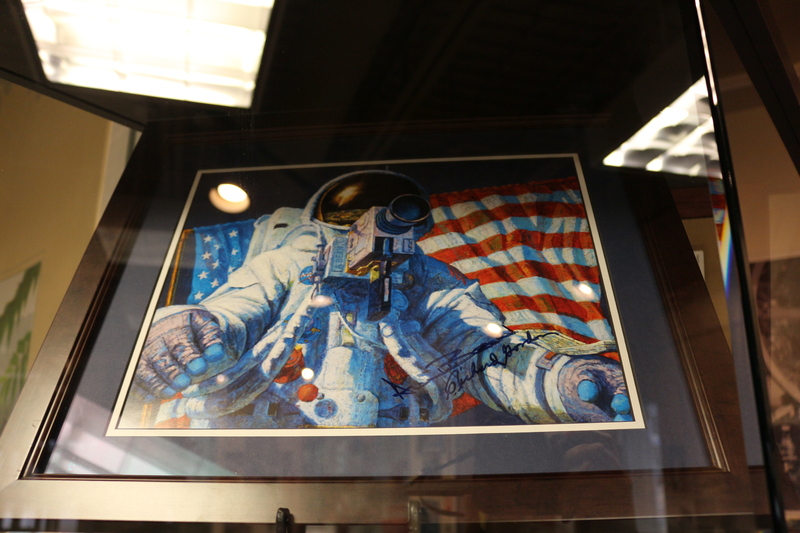 Items on display at the Visitor Center include: a signed Blue Marble photograph, Clan MacBean Arrives on the Moon, signed, Illustration of Astronaut, framed Apollo 11 25th anniversary flag commemoration, Apollo 17 Commander Gene Cernan in Rover Vehicle photograph, signed, Tranquility Base signed photograph, Blue Marble framed image, commemorative Apollo pins, Apollo 12 Crew autographed photo, The Cradle of American Space Exploration book by author Kenny Mitchell, and The Rocket Man foam board sign. In addition to the Apollo display, visitors can also take a #RocketCitySelfie on the Visitor Center’s selfie photo machine. Explore downtown by picking up clue cards for the Lucky Duck Scavenger Hunt. 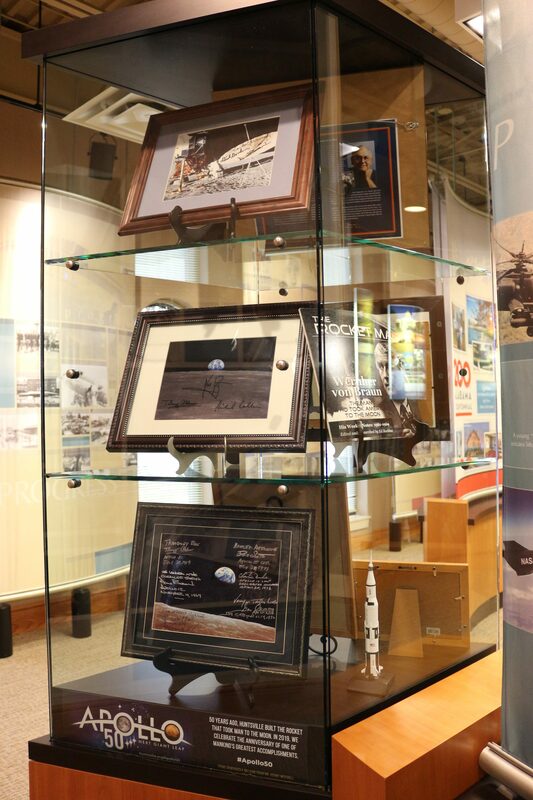 The Visitor Center offers discounts to Huntsville/Madison County attractions along with free maps and brochures. 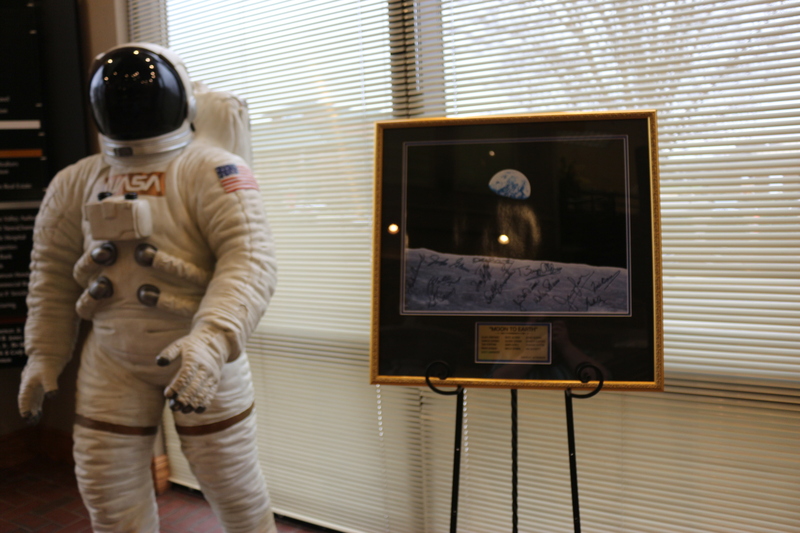 The Huntsville/Madison County Visitor Center is located at 500 Church Street NW Huntsville, Alabama. It is open to the public Monday through Saturday, 9 a.m. to 5 p.m., and Sunday, noon to 5 p.m.